This is one of the best electric griddles in the market and is more than your regular electric griddle. 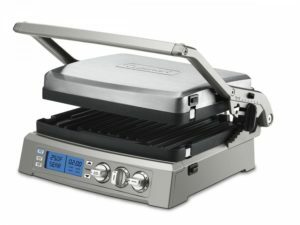 This Cuisinart GR-300WS Griddler Elite Grill gives you options of cooking from a contact grill, panini press, full grill, half grill and half griddle, or top melt. This electric grill griddle combo has considerable large cooking surface of this griddle allows you to cook large amount in short time. Removable and reversible nonstick plates facilitate the grilling or griddling process. The plates also feature a nonstick coating, making it easier for you to cook and clean up afterwards. This unit features dual zone temperature control that keeps you in precise charge of the temperature, from beginning to end. There’s also a handy adjustable top cover with 6 presets to top melt and lock for storage. A sear function allows you to sear food up to 500 degrees for two minutes at a time. 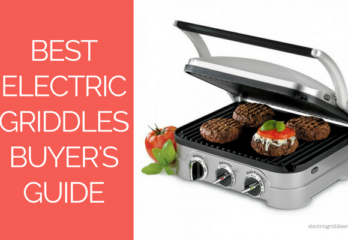 Since the heating element is part of the grill plates, it heats up quickly and maintains the temperature evenly. The digital display of temperature and time is really convenient. This electric griddle and grill combo also comes with the drip tray that catches the excess grease while cooking. The downside is that sometimes dripping goes down the back of the appliance. Though that adds little more to cleaning, cleaning is not a big problem. The nonstick coating and dishwasher safe design makes the cleanup easy process. However hand-washing is recommended to elongate the lifespan of nonstick coating. Cuisinart griddler elite is quite large unit and it doesn’t store upright and the handle sticks out when it’s closed. If you don’t have large kitchen cabinets, then storing this unit can be bit of a problem. You may just have to keep it on your kitchen counter. 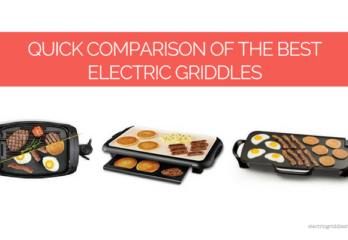 This electric grill griddle combo is more expensive than other equivalent griddles but it is worth the price you pay. This is great addition to any kitchen. 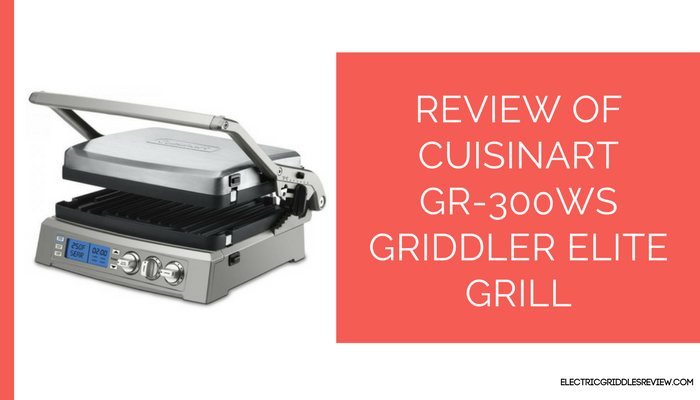 Don’t forget to check the review of Cuisinart GR-4N 5-in1 Griddler.